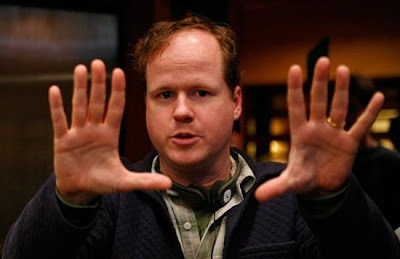 Home / Joss-Whedon / Movies / Poll / television / Poll: Which is Your Favorite Script by Joss Whedon? Poll: Which is Your Favorite Script by Joss Whedon? Which is your favorite Joss Whedon script from science fiction? There were two pieces of Joss Whedon writing news recently. On the one hand, last week there were rumors the network told Whedon to rewrite scripts for Agents of S.H.I.E.L.D. because they were "so bad." But, this week we found out Whedon was flown in to help rewrite scenes for Thor 2 by co-writers Stephen McFeely and Christopher Markus. According to an interview with SFX Magazine, director [Alan Taylor] laughed, "Joss came in to save our lives a couple of times. We had a major scene that was not working on the page at all in London, and he basically got airlifted in, like a SWAT team or something. "He came down, rewrote the scene, and before he got back to his plane I sort of grabbed him and said, 'And this scene and this scene?' And he rewrote two other scenes that I thought had problems. Then finally we let go of him, he took off again, and we shot the scenes; and they were just much better and much lighter on their feet. Much more fun, much more surprising than what we had been trying to do. "I can relate to guys who come out of the TV world, since that's where I come from. And being able to land and work and solve a problem [quickly]... I really was grateful." He was also called in to do last minute rewrites on the first Captain America script. We know how that turned out. So, it's safe to say Joss Whedon is an awesome writer. I guess this isn't a surprise since he's the grandson of the great television screenwriter John Whedon, the son of Tom Whedon, and his brothers Zack and Jed Whedon are also screenwriters. Here's the question: Which is your favorite science fiction property Joss Whedon has written for and why? Which is Your Favorite Joss Whedon Science Fiction Script? The results of last week's poll - Which of These 17 Genre Movies Are You Looking Forward To In 2015? - is (coincidentally) Marvel's The Avengers: Age of Ultron! In second place is Star Wars: Episode VII followed by Batman vs. Superman. Vote in this week's poll and come back in two weeks for the results and the next poll. Which is your favorite Joss Whedon script for a science fiction film or TV show? Why do you feel that way? Can I vote that they're all equally awesome? It's hilarious though that they would send him in like a pinch hitter to bail their screen writers out. Does he get a credit for that? I Love Firefly! Serenity would be second only because it tied things up. No one will ever have a more awesome Theme Song. That was difficult! As much as I dig The Avengers, nothing beats Firefly. This is a hard poll as I love all of Whedon's work. But I have to go with Firefly...Browncoat Forever!! LOL Just thought I'd say hi for a bit, I'm still snowed under with work. It's funny to think of them a big red button that says "WHEDON" Pat. I changed it to top three instead of one. It's not fair otherwise. I changed it to top three Alex. Avengers was bigger so its not fair to choose one over the other. Good call though! The song by Greg Edmonson broke all the rules David. Thanks for popping in Melissa! Tipping the Jayne hat. Voted for Dr. Horrible. I didn't know he had anything to do with Waterworld. Although interestingly, apparently he nixed an original plan to end the whole third act on land, which could have broadened the whole mythology of the movie. Yes, as he pointed out, the thing about Kevin Costner's character was that he was a dude with gills, but the most interesting Aquaman comics don't keep him in the water, either. The character was already a fish out of water. It was essentially a pirate movie anyways, and a lot of pirate movies are obsessed with the treasure buried on land somewhere. (Actually, the Pirates of the Caribbean movies really aren't so different from Waterworld, if you allow Dennis Hopper to have a slightly less one-dimensional role.) In Waterworld you have this mysterious map that pretty much becomes a McGuffin. While people endlessly dog J.J. Abrams about McGuffins, Whedon is equally guilty about this, and probably the worse for having never been called on it and thus never addressing it in his projects. All of which is to say, I liked Waterworld. And to know that Whedon was involved is a way for me to identify more of the ways we differ creatively. I would've let the darn thing continue to be a pirate movie. Whedon can become obsessed with keeping his darlings stuck in one particular box. Agree. It's one of the best theme songs ever.